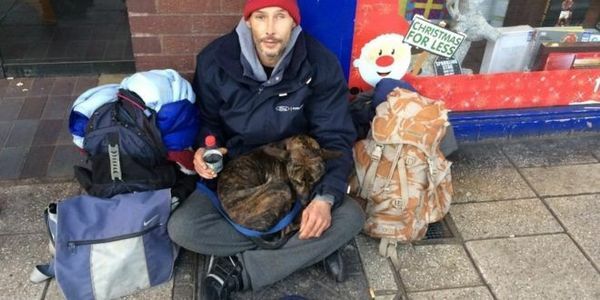 Southampton City Council are 'fining' people on the streets £100 in five areas of the city using Public Space Protection Orders (PSPOs) - for being homeless, obviously unaware of the number of Local Authorities that have dropped such punitive and callous measures following considerable public backlash. This petition is aiming to contribute to the reversal of the Council's decision to criminalise people on the streets, when they have nowhere else to go. The council's decision is just the latest example of social cleansing attempted at every level in the UK - but one of the crudest without doubt - and those right at the bottom i.e. homeless on the streets have been hardest hit: from hostile architecture like anti-homelessness spikes in doorways, to sloped benches to stop lying down on them, to 'fining' those destitute on the streets £100 for being homeless. However, there is significant push back and 9 out of 10 anti-homelessness measures have had to be scrapped as a result of opposition and protest. This petition aims to make it 10 out of 11: sign and share. Such punitive measures seeking to criminalize homelessness without doing anything to help prevent or end it need to be opposed and resisted and the council must scrap its own misguided use of PSPOs against those on the streets forthwith. Thanks to the help of a Care2 member, this petition has now been submitted to Southampton Council. We'll let you know when we get a response. Do you live or work in Southampton or know someone who does? WE NEED YOUR HELP to submit this petition to the council via email. If that's you, and you're willing to help us send in this petition via email, please email bethg@care2team.com and we'll be in touch.